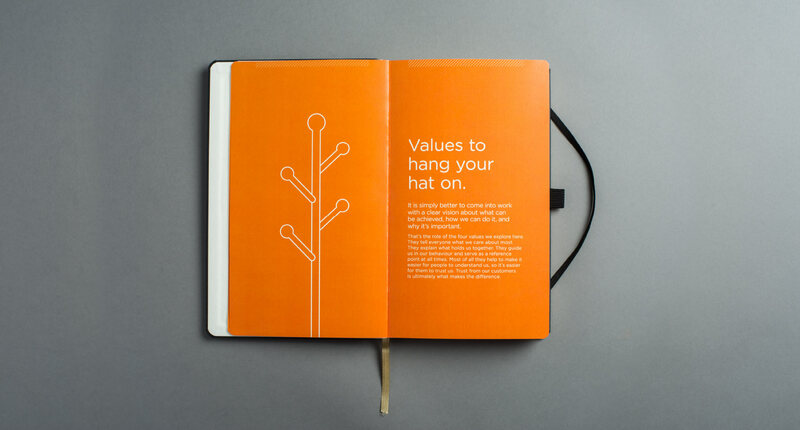 A notebook was produced introducing the new vision and values to all staff. 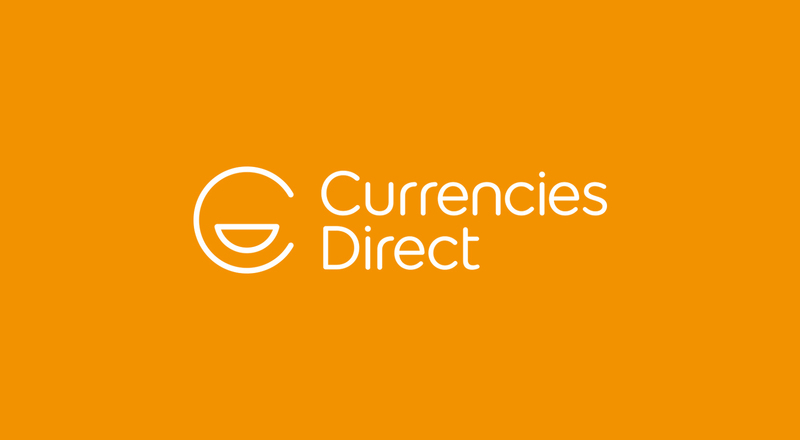 Currencies Direct is a £1.1bn business dealing in the world of foreign exchange and international payments for both individuals moving overseas and for businesses buying and selling abroad. They were one of the first challengers to high street banks and in their 17 years have provided great service and value with savings of up to 5% on currency transactions. – Currencies Direct, although growing and ambitious, was at a watershed. It needed to upgrade its offer to counter new entrants and more aggressive competitors. 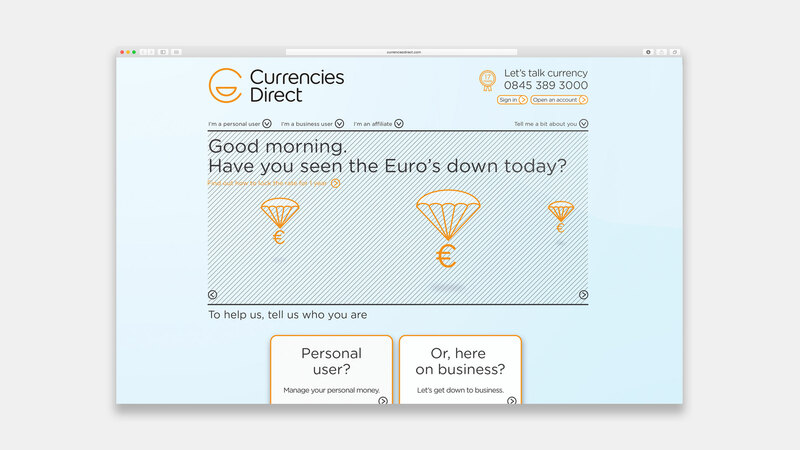 – The Currencies Direct brand had a strong service offer based on a distinctive and unique ability to deal with their customers in a personal and friendly way. This empathy, however, had not been translated into a compelling narrative or brand identity. – Currencies Direct had an overly complex business that created artificial barriers and in the process of trying to serve everyone, served some less. The brand lacked emotion and felt disconnected. Working closely with Currencies Direct we articulated a new vision, mission and a set of values that succinctly captured the unique personality of the business. 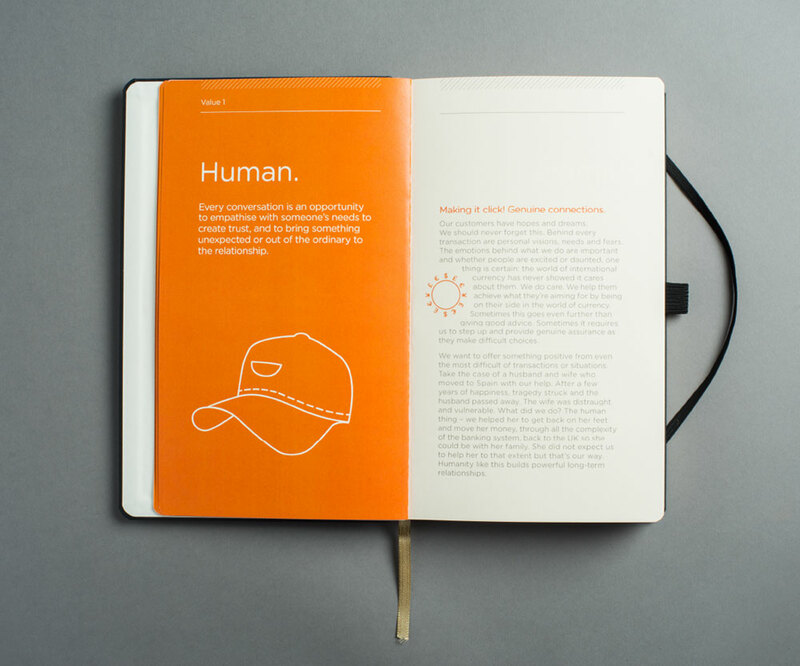 Direct, human, simple, and driven became the mandate for the new brand. 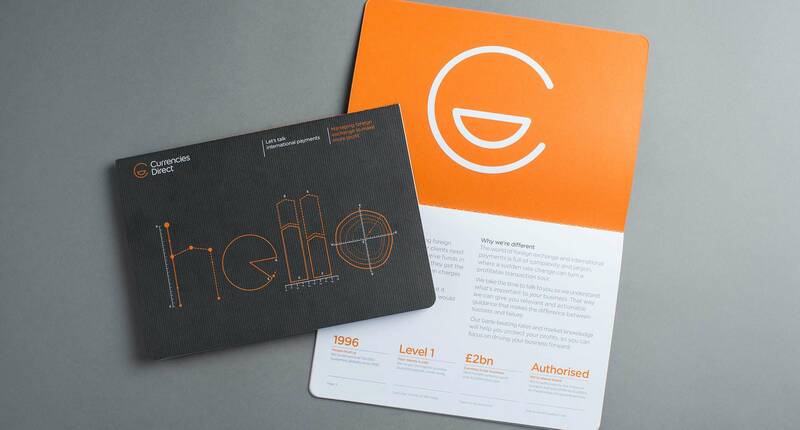 This led us to the solution of the ‘Chatty’ icon for the identity and a tone of voice which is human and straightforward, No fluff, no jargon – just great service and value, delivered in a personal way. The language was critical to the brands success. 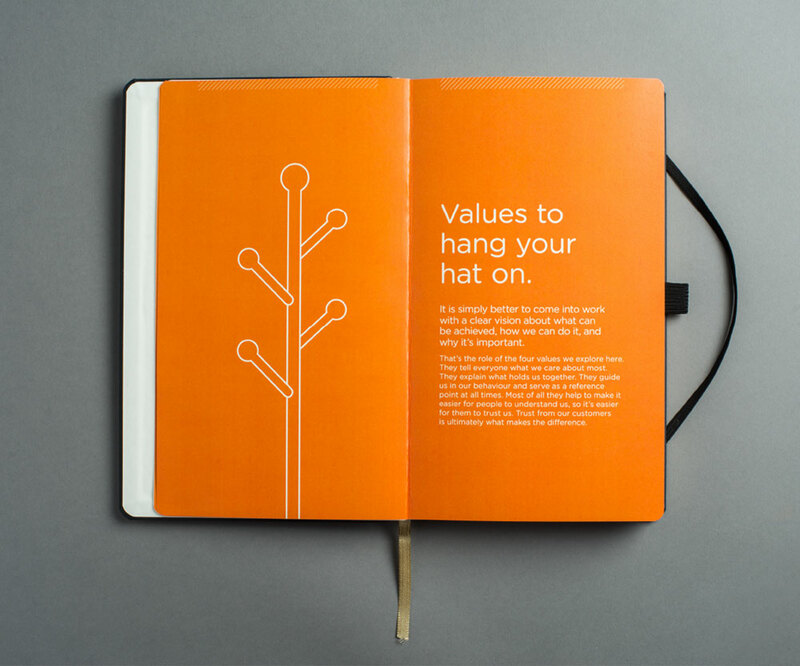 To support engagement internally we developed a ‘brand in the hand’ notebook. This used storytelling to demonstrate what each of the values meant. 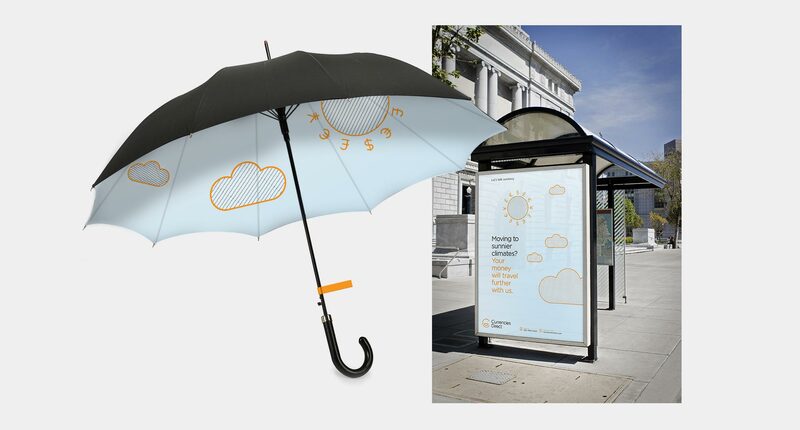 The Allotment developed the ‘Chatty’ brand across all touchpoints including market sector brochures and sales literature, the website, signage for affiliates, office interiors, advertising and for animations that very simply explained the value of the brand to their customers. 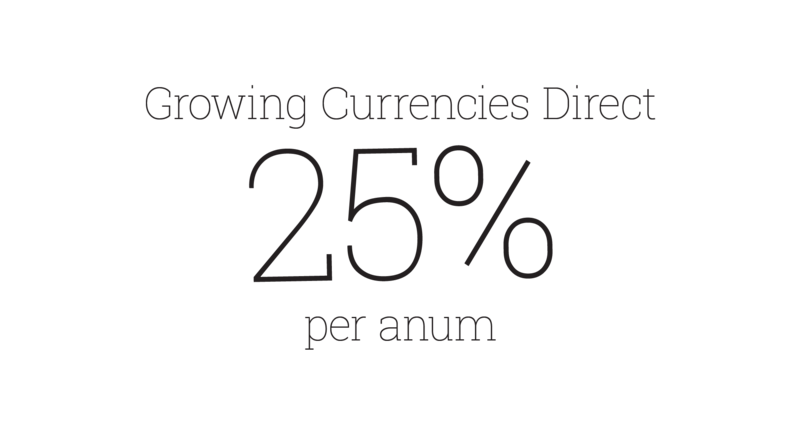 Currencies Direct was the first company in the UK outside the banking industry to offer specialist currency services. They help more than 150,000 corporate and personal clients, and process $4.5 billion in currency payments every year. 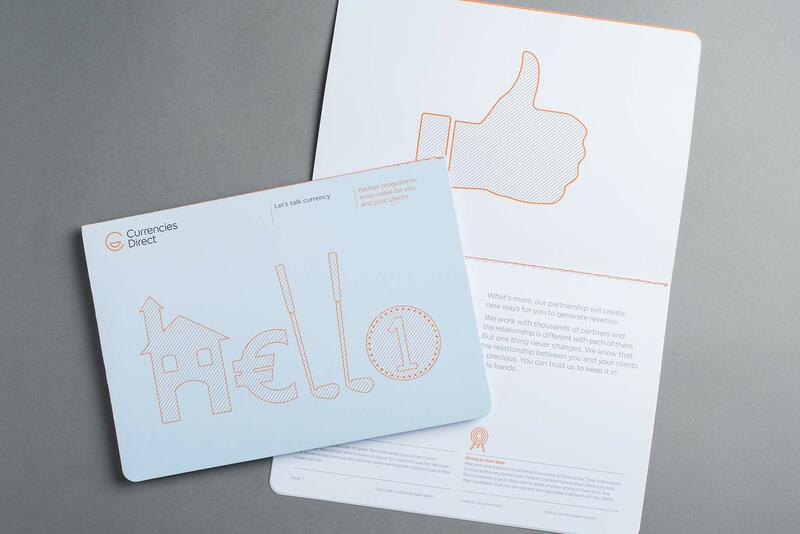 After 20 years challenging the big banks, Currencies Direct asked The Allotment to communicate and capture their direct and customer friendly personality through a new brand identity and proposition.